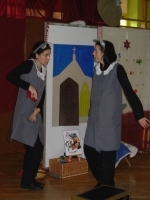 In every programme there are short simple stories interwoven with English songs. One performance usually contains 5 stories and 5 songs. Children watch the story of a big lion saved by a little mouse and about a dragon with a tummy-ache. In the shadow theatre Noah takes the animals onto his arch. We sing a new version of the song "when you're happy" showing what animals do when they are happy. For the song about two little dicky birds children receive colourful handmade birds put on the fingers. They contain all of the important elements of Christmas, sometimes in an unusual context. There are bears waiting for Santa Claus and mice who share bread on Christmas Eve. An angel tells the story about animals going to Bethlehem. Children can throw woollen snowballs and eat gingerbread biscuits baked in a magical way. They also get little bells and we sing "Jingle Bells" together. We play using stories about Spring time and the other seasons of the year. Children together with a fairy do magic and make rain and sun. Holding a flower little spectators show how from a little seed-bulb grows a beautiful daffodil. 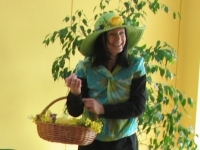 Some of the stories contain Easter elements: there is a bunny, egg hunt, there are typical eggs and suspiciously big eggs ... we also don't forget about humour - there is a story set on April Fools' Day. 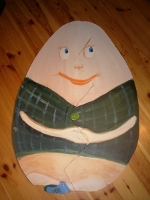 RTogether with our characters we travel from continent to continent. Children watch the story about the Chinese Dragon, they go on a lion hunt and they meet pirates and American Indians. In headbands with feathers they perform an Indian dance. They sail across the ocean and travel across the land with various means of transport. 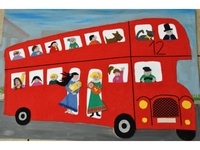 Children learn about various places in London. With a cat they go to the queen's palace where they find mice. They watch Sherlock Holmes looking for the traces of the Lost Rabbit with his magnifying glass. They also learn how the legendary Arthur became The King. At the end we prepare tea together. 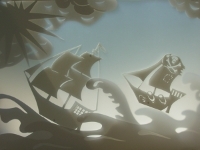 These are stories from our repertoire chosen depending on the likes and dislikes of the birthday holder; for example stories about pirates, princesses and indians. 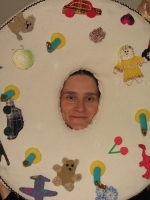 During some stories children receive some props which makes the performance more attractive. 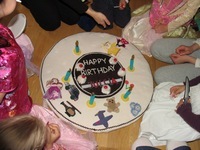 At the end children decorate a huge fabric birthday cake, which changes in a big photo frame. 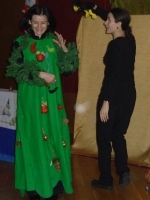 There is a possibility to invite our theatre to the child's kindergarten for birthday performance.